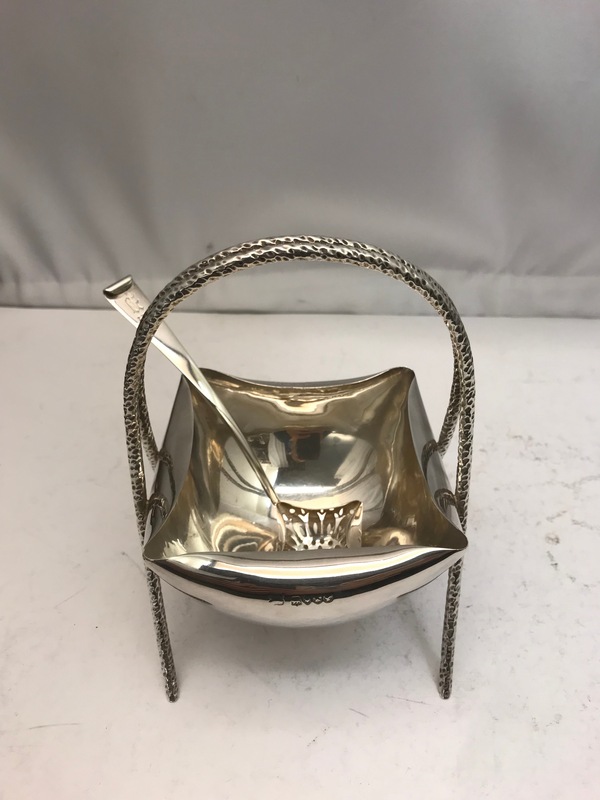 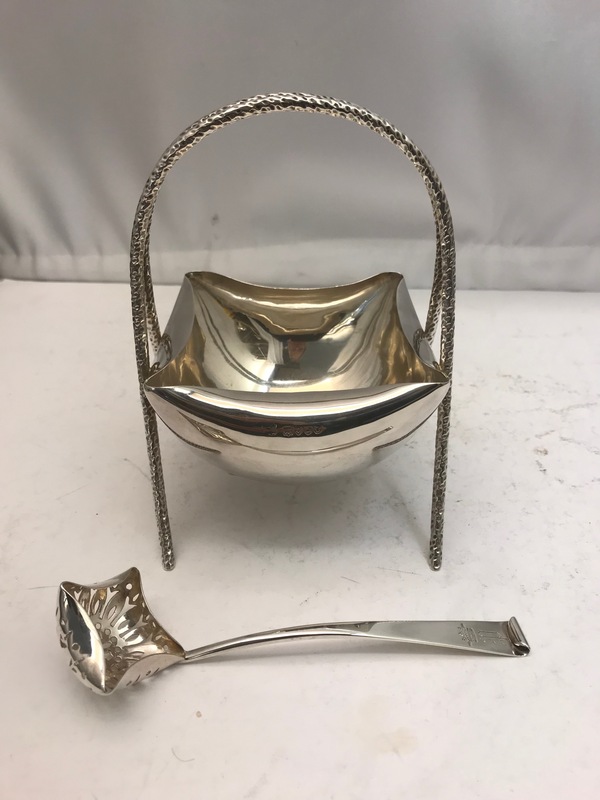 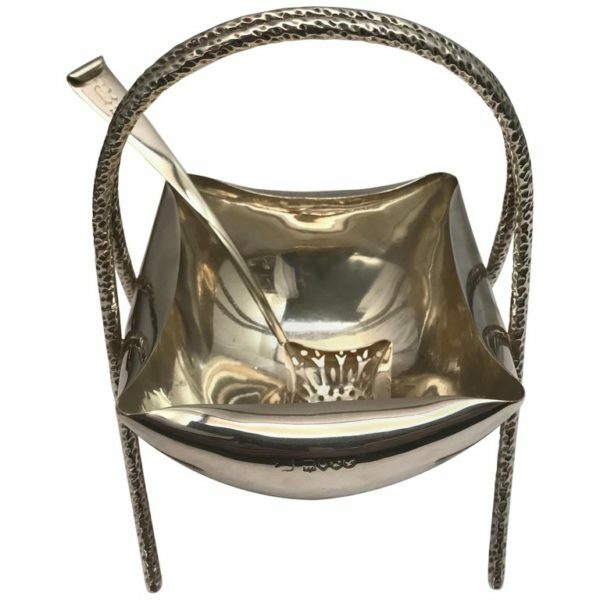 A charming silver Victorian bowl with a bent edge a handle adapted in the shape of an arch with a matching sifter spoon. 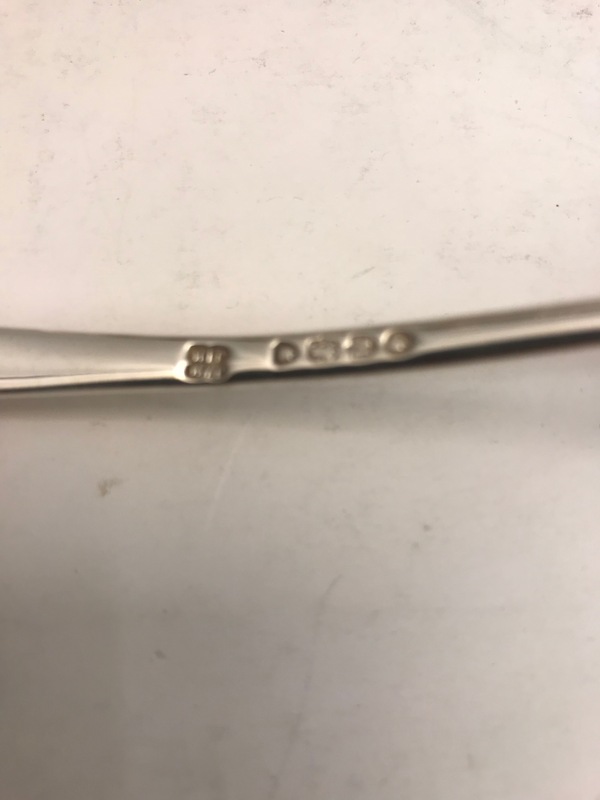 Marked on the top edge. 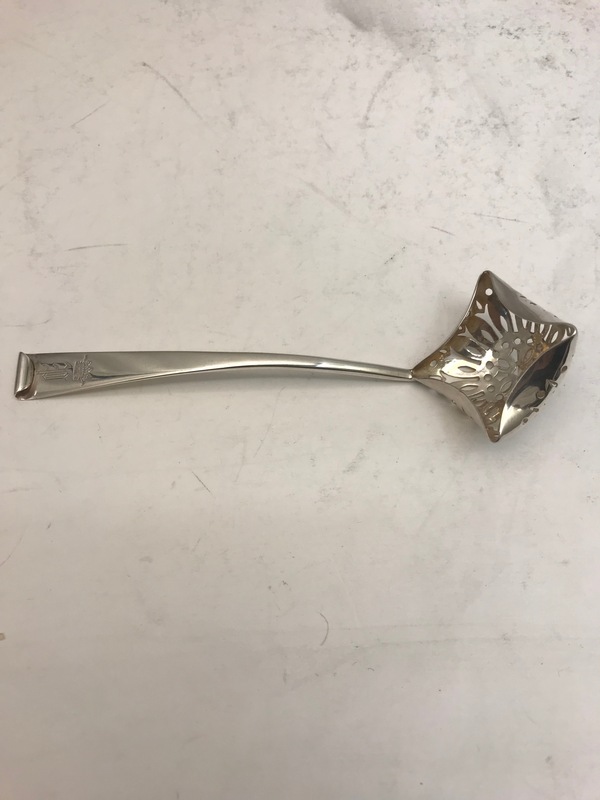 Made by Huki & Heath London 1885. This attractive bowl and spoon is in very good condition with no damage.